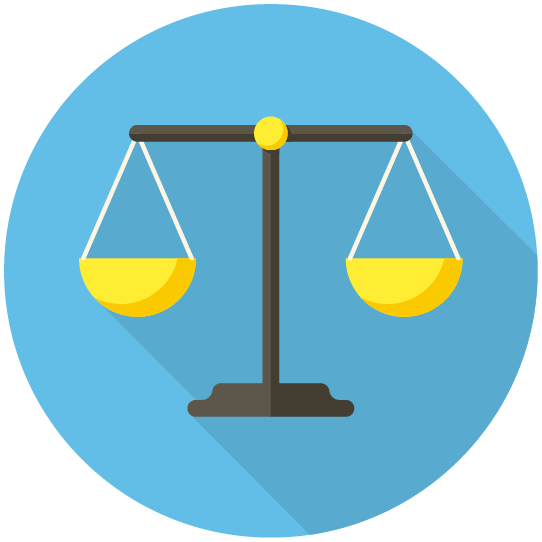 It is important that a mobility scooter has the ability to get the driver from place to place, but it doesn’t hurt if the scooter looks good, too. 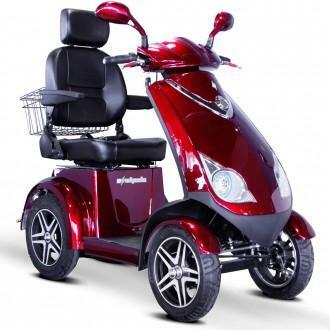 The E-Wheels 72 Scooter checks all of the boxes when it comes to getting the best power chair available. Not only is it fast, with a top speed of 15 mph, but its variable speed dial feature enables it to go as slow as 1/2 mph. 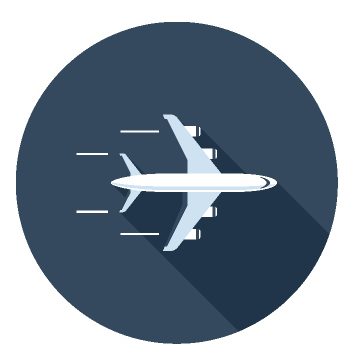 It also can carry up to 500 pounds of weight and has a driving range of 43 miles. 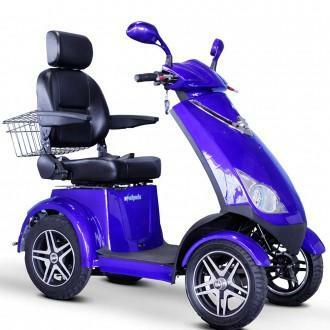 Its four wheels give it added stability, making it suitable for indoor and outdoor use. The 700 watt Hub Motor and a 48V x 20AH battery system give the machine plenty of power. 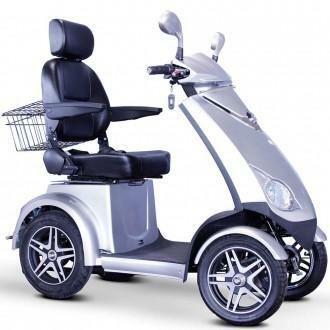 The scooter comes in two color options and the moveable armrests make getting on and off easy. It comes ready assembled with batteries, making the 72 Scooter ready to ride upon delivery. The E-Wheels 72 4 Wheel Scooter is the first High-Speed performance scooter capable of reaching speeds up to 15MPH. E-Wheels 72 4 Wheel Scooter has 4 wheels for maximum stability and a weight capacity of 500lbs. It is powered by a 700 watt Hub Motor and a 48 Volts and 20 Ah batteries. This scooter ships fully assembled and ready to ride. 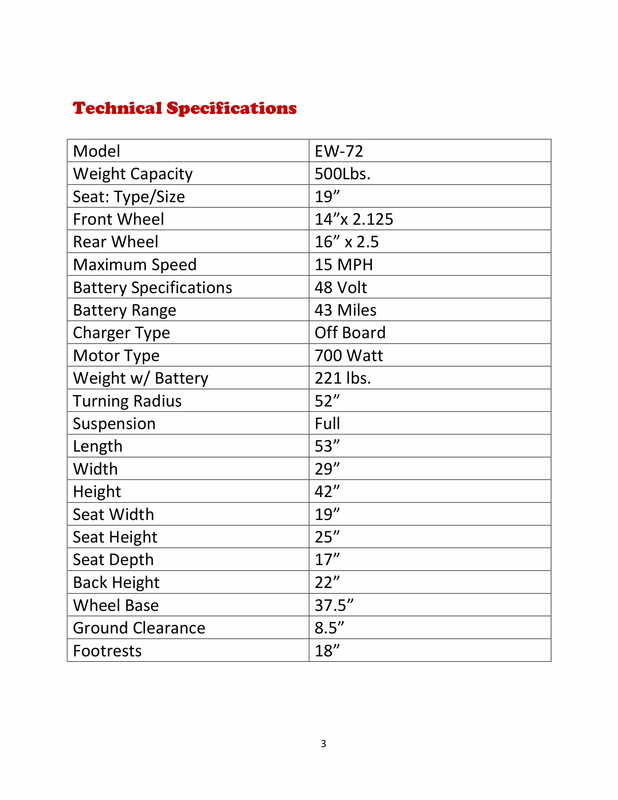 The newly designed E-Wheels 72 4 Wheel Scooter model has been vastly improved with a variable speed dial feature which enables the E-Wheels 72 4 Wheel Scooter to travel at speeds as low as 1/2 mph. This new variable speed feature make this Scooter a perfect fit for both indoor and outdoor use with speeds reaching up to 15 mph as one of the fastest scooters on the market. 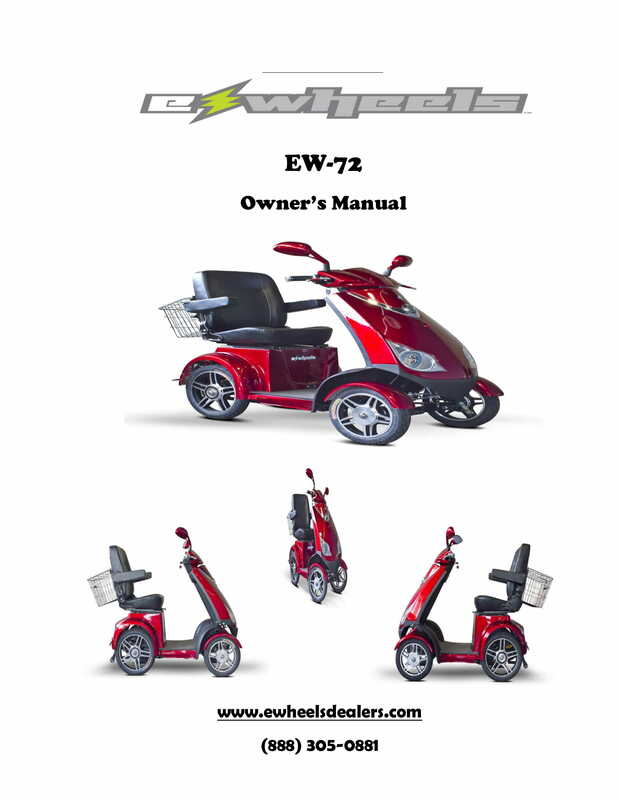 E-Wheels: 72 Scooter has a rating of 4.7 stars based on 6 reviews. The E-Wheels 72 4 Wheel Scooter is the first High-Speed performance scooter capable of reaching speeds up to 15 MPH. The E-Wheels 72 4 Wheel Scooter has 4 wheels for maximum stability and a weight capacity of 500lbs. It is powered by a 700 watt Hub Motor and a 48 Volts and 20 Ah batteries. This scooter ships fully assembled and ready to ride.